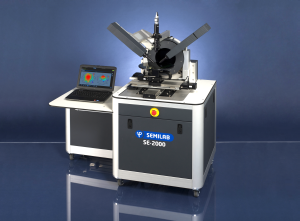 Semilab offers a unique modular optical platform, the SE-2000, which includes a spectroscopic ellipsometer with rotating compensator optics. 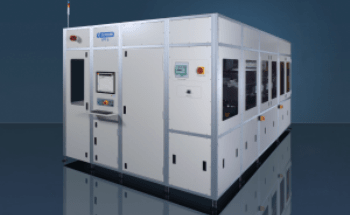 It performs non-destructive and non-contact optical measurements on substrates, single layer and multi-layer samples to obtain individual thin film thickness and optical properties. 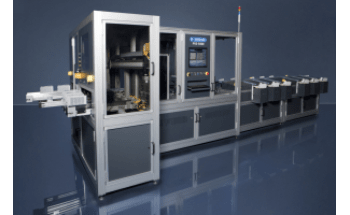 The system has a robust, versatile and modular design and enables studying samples from simple single layer thickness to more challenging applications such as those combining polarimetry, scatterometry and ellipsometry using Mueller matrix. It has an innovative independent arm angle selection and a small spot size. 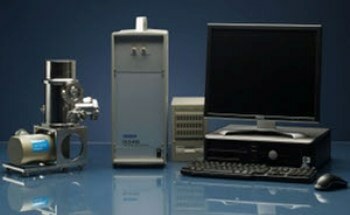 The SE-2000 offers a wide spectral range ranging from the Deep-UV (193nm) up to Mid-IR (25µm) with optional FTIR ellipsometer head uniquely offered on the same goniometer with the visible arms. 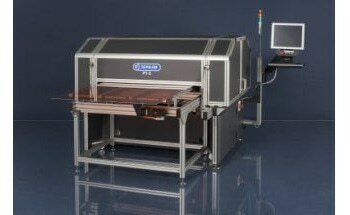 It can either be configured with the fast detection mode using spectrograph and detector array, or with the high resolution one using spectrometer and single point detectors, or with both modes combined together in a single tool. SE-2000 includes Semilab’s new smart electronics with interchangeable components, and operates with the new generation operating and analysis software (SAM/SEA). The system can be controlled from a PC or Laptop through LAN Network, or by a new touch panel interface.